Betsoft Gaming is a popular manufacturer of gambling software from Great Britain. It became famous, first of all, as a leader in the production of slot machines with three-dimensional graphics. The head office of the company is in Malta. BetSoft released more than 100 slots, most of which have captivating original prize rounds. The company was founded in 1999. It began its activity with the creation of slots for ground-based casinos. 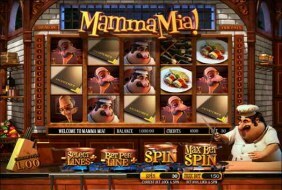 In 2005, the developer became known as the manufacturer of software for online casinos when it introduced the first slots with 3D graphics, which then were an impressive novelty. By 2008, BetSoft’s portfolio consisted of several dozens of 3D slots. Two years later, contracts were signed with many large companies, including NYX Interactive and Bet365. In 2012, the manufacturer released its first platform for mobile gadgets. Today, the developer’s game assortment includes more than 150 titles. The company regularly releases new video slots, each of which within a few days after the release becomes one of the most popular in an online casino. In addition to modern three-dimensional graphics, BetSoft Gaming slots also have other distinctive features. As it was already noted, the developer pleases players with impressive prize games. Unlike other developers, the company allows players to preview the bonus round before the game starts. BetSoft uses a patented Expandicon technology, thanks to which characters can move around on the screen and acquire additional game functions. 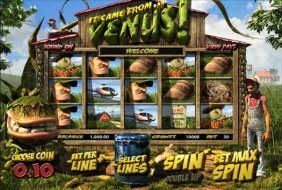 Many slots are connected to the progressive jackpot system. 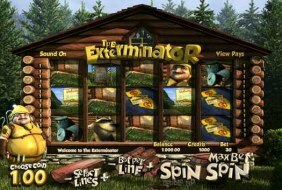 BetSoft distinguished itself by an uncommon approach to the selection of themes for its games. Along with the usual topics, you can find original themes in the manufacturer’s lineup. For example, games about the rich dogs (Diamond Dogs), the production of oil (Black Gold), the farm with the aliens (It Came from Venus), the mad scientist (Mad Scientist and Madder Scientist), and the young man who shares his apartment with Rats (Ned and His Friends). Thus, Playtech slots are an ideal choice for those who appreciate originality. BetSoft is one of the most promising game developers. Once, the company became one of the innovators and offered a revolutionary approach to the creation of video slots. Today, it is successfully competing with such giants as Playtech and NetEnt.